Health facilities are sensitive areas, and their cleanliness should come first. Any person who owns a medical facility should consider hiring a professional cleaning company that focuses on cleaning medical premises and equipment. The health-care industry protects the health and well-being of millions of people each day. Health-care industry comprises of numerous measures that must be reached concerning the condition and cleanliness of the health-care facilities. Our workers have been trained to offer the best and quality services that observe these standards with patients’ needs in mind. We also understand all regulatory and standards, and you can rest assured that when you hire us, your medical facility is compliant. These will as well help in reducing the expensive violations; ensure that all infections are removed and that the environment is safe for patients. Professional cleaning comes with professional skills and equipment. Excellent cleaning and sanitization of a medical facility and offices help in minimizing the spread of infections among patients and from the patients to the workers or caregivers. It is crucial to offer your patients with a healthy environment that allows them to recover, but you should also protect your workers since they are responsible for looking after those patients each day. A healthy staff means better work and productivity. A professional cleaner understands how to protect them from contamination and also knows the best ways to disinfect surfaces and equipment. You barely have time to do research and get the latest cleaning equipment for your facility, and that is why you need a professional who focuses only on cleaning. If your cleaners are the same staff you work with for other activities around the health-care facility, they are likely to be using old supplies and equipment. Cleaning companies are always staying abreast of the advancing cleaning supplies and competency since if they are left behind, they lose to their competitors. 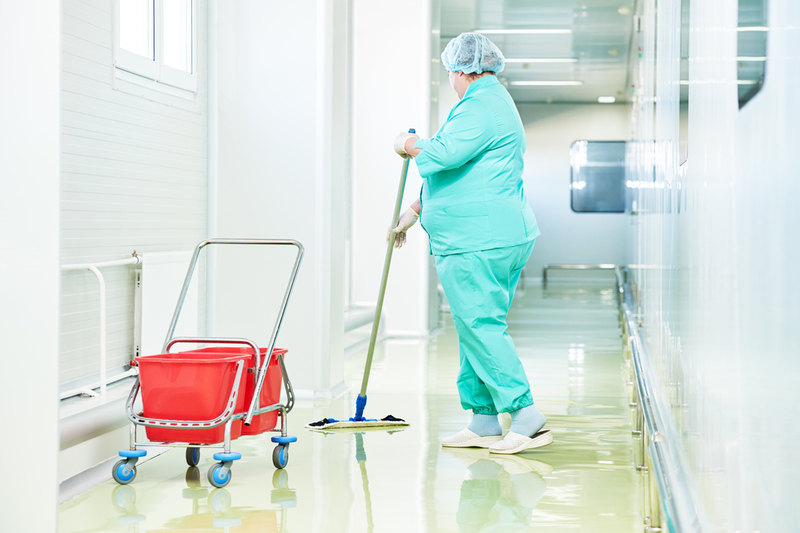 Outsourcing your medical facility cleaning in Grenville enhances expertise cleaning. The most significant element of a clean health-care facility is ensuring that all surfaces, equipment and, instruments are free from germs and contaminants. Cleaners ought to use high-quality cleaning equipment with active suppliers which include germicide ingredients to kill infectious germs and bacteria leaving all the surfaces disinfected. Also, professional cleaners own equipment that helps them to see germs and bacteria that you cannot see with your bare eyes. This way, they can clean all the surfaces clearly and kill all the germs something that you cannot achieve by using water and detergent only. There are significant differences between cleaning any other work office and a medical facility. Much care and sensitivity must be involved, and we are the right people for the job. Contact us today and let us take over the cleanliness of your medical facility as we eliminate any Greenville hospital acquired infections.